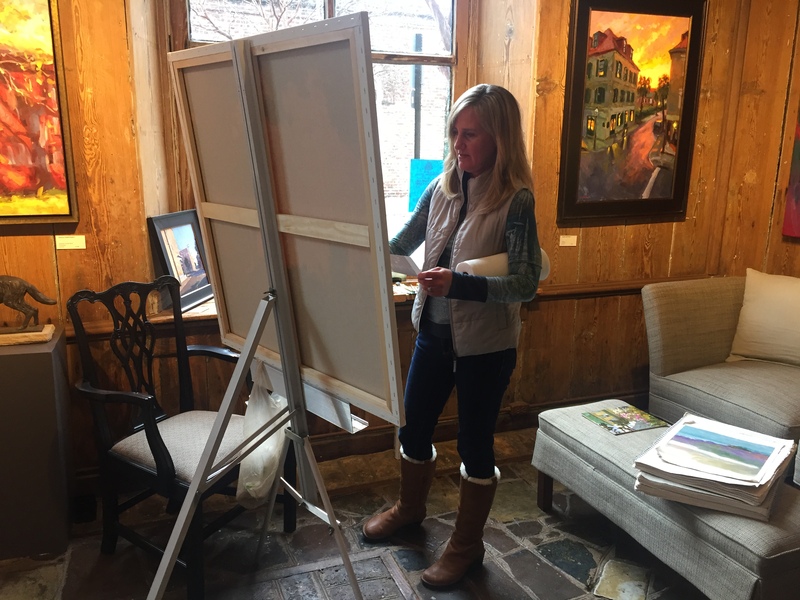 If you’ve spent any time in Anglin Smith Fine Art (especially on a weekday between the hours of 10 and 2), you probably know that the space serves multiple purposes. Not only is it an art gallery, it’s also a studio for Jennifer Smith Rogers. 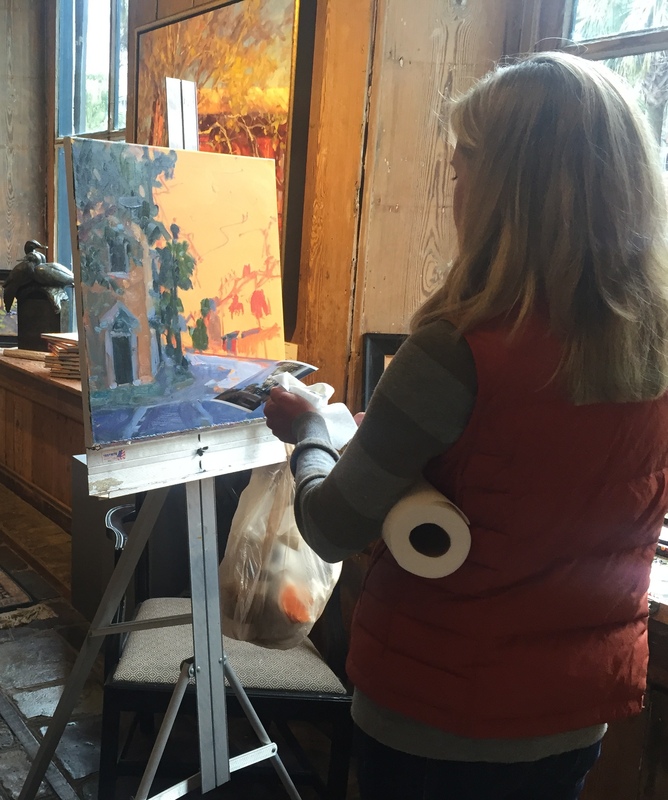 Most days, you can find Jennifer in the corner of the gallery, painting away by the large window’s natural light. 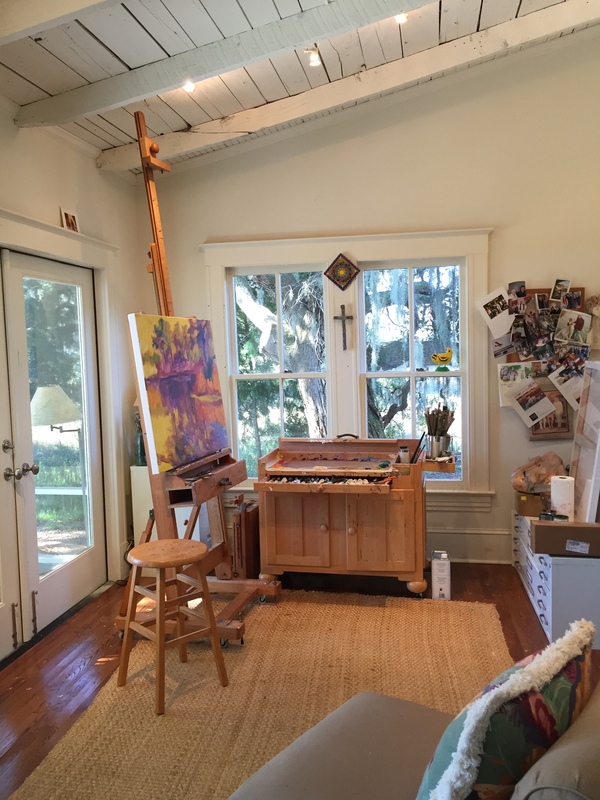 If you drive about 45 minutes south of the gallery to a little town called Meggett, you will discover the studio of Betty Anglin Smith. 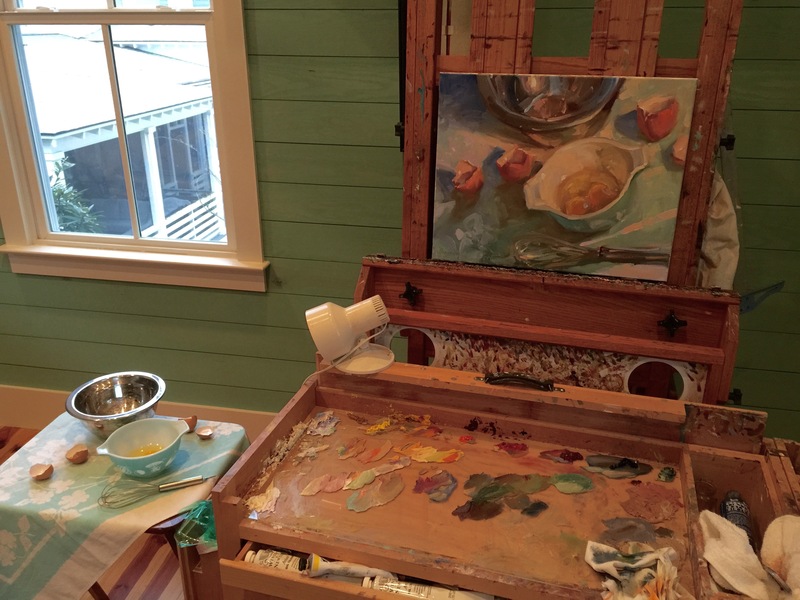 Her studio overlooks the flats of the Wadmalaw Sound and a gorgeous Lowcountry setting that serves as inspiration for her iconic marsh painting. 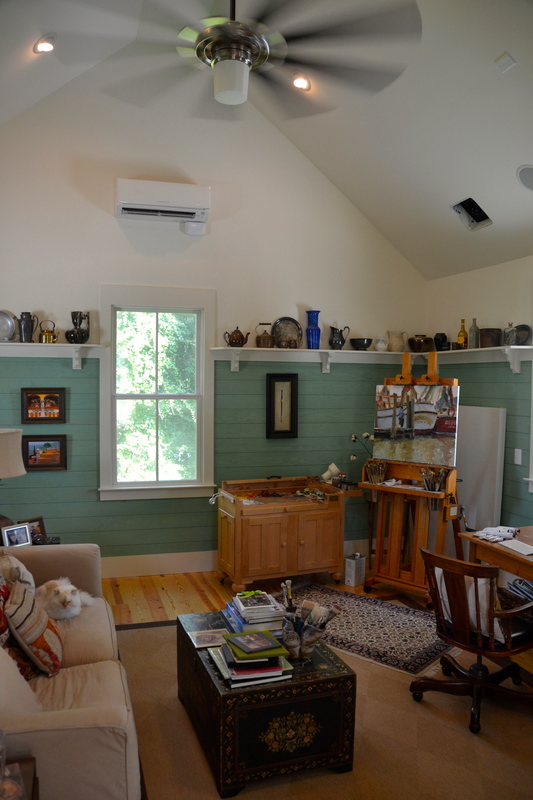 Shannon Smith Hughes doesn’t have to go far to get to her newly renovated studio: It’s right upstairs in her home in Mount Pleasant.